Funda Dundar has lived in a foreign country for 16 years and adopted the principle of introducing Turkish music by means of Classical Turkish Music Camps, Classical Turkish Music Concerts, organizations and especially by the concerts made together with the famous singers/artists in America. Starting his foreign country life as obtaining a Business Administration in London, she continued her foreign country experience through studying Russian Language and Literature in Russia and then she settled in Los Angeles, California and lived in America for eleven years. 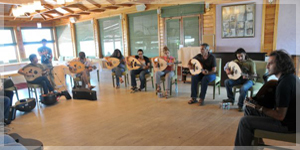 Classical Turkish Music Camps initiated under the leadership of Funda Dundar attracted great interest in our country. Her organization activities she initiated under the roof of Los Angeles Turkish-American Association, the founder and president of which is she herself, and with the Chairmanship of South California Turkish-American Association Board and Chairmanship of Social Organizations were reinforced in other countries such as Greece, Austria, Tunisia, Algeria and other countries and later on she combined her business life with Ulus Group through settling in Turkey for the purpose of realizing such sort of Turkish Music organizations within our country as well, which attracted great interest in those countries. 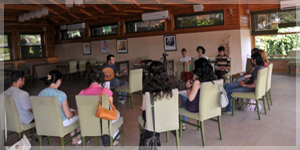 The Music Camps, which are quite important for introducing both our culture and music to the whole world, will be applied in two parts as summer and winter camps under the roof of Ulus Group from now on. Upon the great interest on this issue, out winter camps of this year will be realized in foreign countries as well and will be initiated in Kuwait, Bahrain and Greece. Our goal is to realize music camps in different cities in our country and make our local culture prominent in foreign countries.